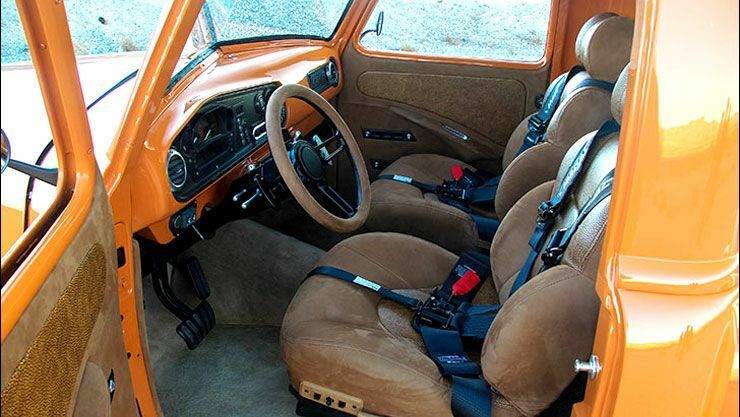 The Story Behind “VICARIOUS” 1952 Chevy 3100 – Can You Ever Repay Your Parents? 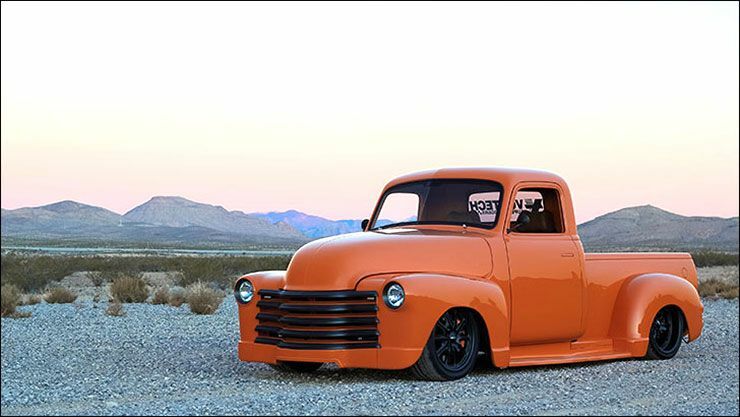 This 1952 Chevrolet Pickup truck, dubbed Vicarious is silky smooth inside and out. This truck is pure bliss. The orange paint screams for attention, but it doesn’t shortchange anyone who sees Vicarious. Riding on a C4 Corvette suspension, Z06 brakes, and powered by a supercharged small-block Chevy with EFI and methanol injection, Vicarious is fast as it is stunning in looks. This piece of art was built by HPI Customs out of Manitoba Canada as a gift for shop owner’s father for all the support he has given to help the shop grow. 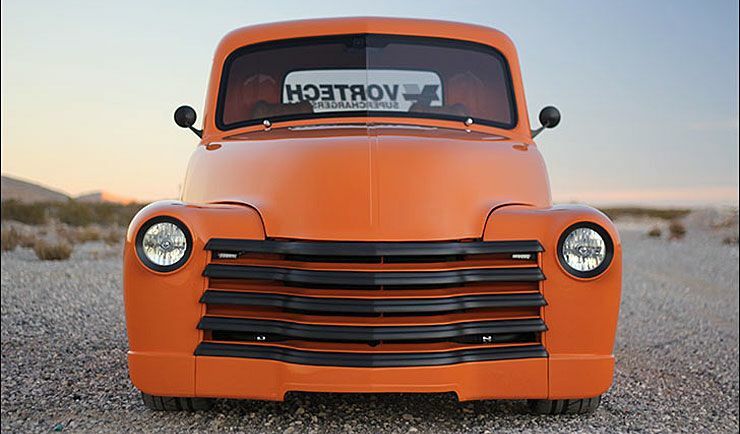 Throughout the years, Bill Scarfe has tirelessly spent countless hours helping develop and launch HPI Customs, a high-end, full-service fabrication shop in Manitoba, Canada. Although the worth of his work getting the shop off of the ground was incalculable, the labor he invested didn’t go toward his own vision. It was his son Tyler who had the dream of operating an outfit capable of producing world-renowned and respected custom cars and trucks. Bill’s life’s work has been running a resort, Jessica Lake Lodge, which he’s successfully done for the past 65 years. He put his all into his place both financially and personally. Bill sold a fleet of custom cars he owned to fund the lodge and keep his family fed through the ups and downs of the business. The lodge was his legacy, so he understood what it meant to Tyler to start his own business, and he didn’t once hesitate to do everything in his power to help his son reach his goal. Bill might not have considered his actions sacrifices, since he only wanted what was best for his family, but his grateful son saw nothing but selflessness, and he was determined to help make one of his dad’s dreams come to fruition as a repayment of sorts. “We would kill to have all of those cars back, but he did what he had to do at the time, and we can now truly appreciate just how much he gave up to provide for us,” Tyler says. 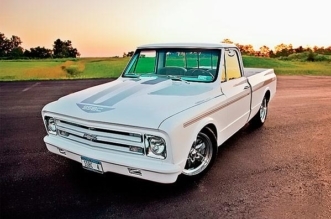 About 10 years ago, Bill did buy himself a new toy, a ’52 Chevy pickup, his dream truck. He started gathering parts for it and was ready to build it into something special, more special than any other vehicle he had ever owned. 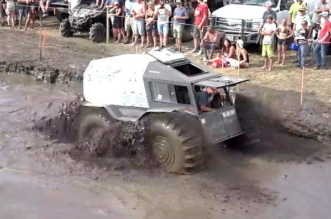 The truck was going to be his last big hurrah, and he embraced the build like none other. Bill’s family was glad to see him so excited about creating something for himself. With the shop up and running, and doing rather well, the resources were available to give the truck a good jumping off point. Unfortunately, an unforeseen force sidetracked Bill’s plans.